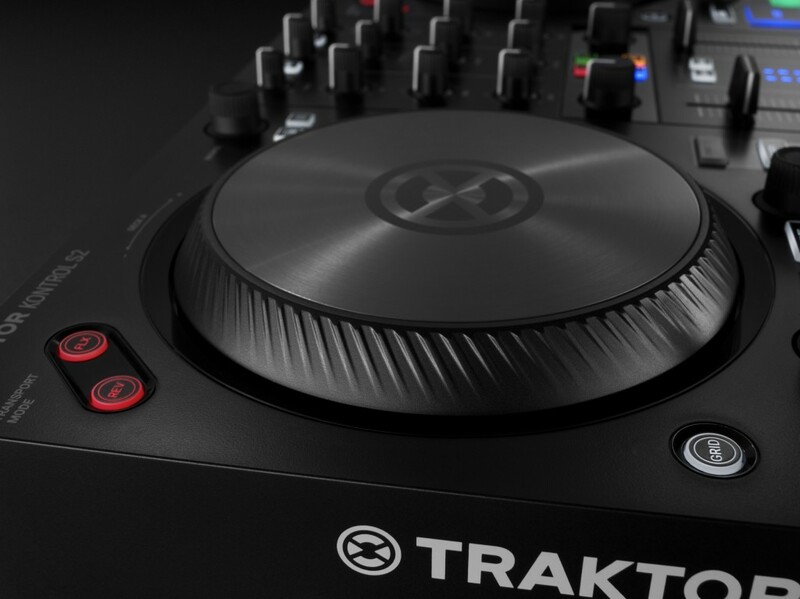 And on the DJ side, as I wrote separately, you get a new version of TRAKTOR plus a controller with moving, “haptic” wheels that’s more fun to play. MASSIVE X: Roughly a decade later, we get an all new flagship NI synth. Massive X has a new sound engine that takes advantage of today’s CPUs, new subtractive filters, lots of new effects, and a big modular engine for routing everything together. We should get more of the grimy, analog-modeled sound Reaktor Blocks and Monark and their ilk have given us, but despite “Monark” appearing on the filters, NI’s engineers tell me they wrote new code. Massive X is interesting, though: it seems both simpler and more understandable on first glance, but deeper and more modular under the hood. Unfortunately, you’re going to have to wait to see more – Massive X is due in February, and the screenshots I’ve seen aren’t yet available to the public. It’ll lead Komplete 12, though, across all editions. 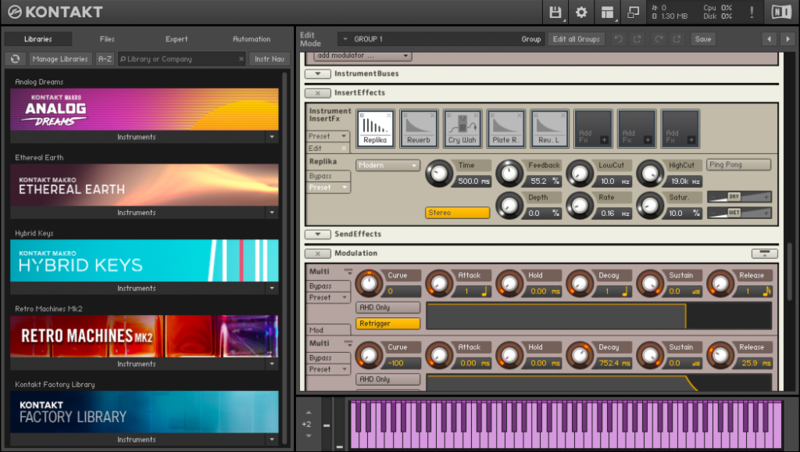 The existing Massive remains bundled with Maschine, and will continue to see updates – as it’s far lighter on CPU usage. 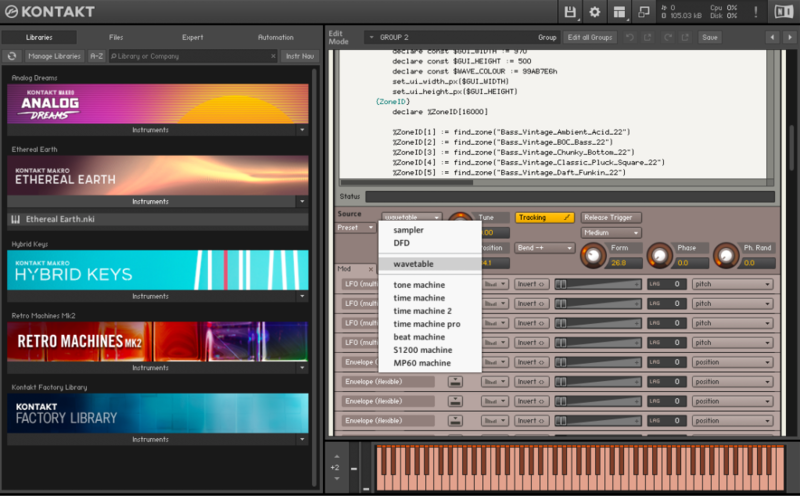 KONTAKT’s new Creator Tools promise to be a major boon to sound library developers and power users. Same UI, but new effects in the new KONTAKT 6. New KONTAKT. Kontakt 6 is another long-awaited update. 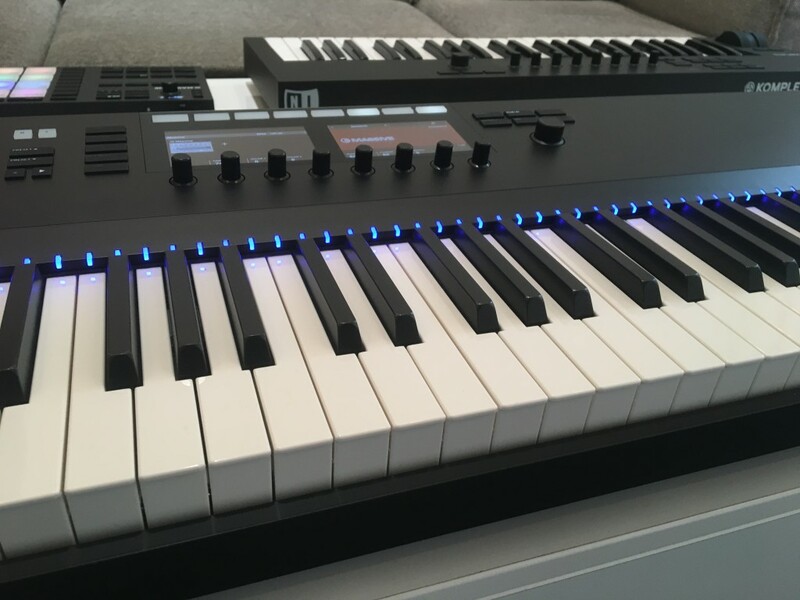 For end users, there are new instruments: Analog Dreams (retro synths), Ethereal Earth (hybrid traditional/synthesized instruments), and Hybrid Keys (digital/keyboard combos). But it’s really the behind-the scenes stuff that matters here. You can add three new reverbs, Replika delay, wah-wah, and a new wavetable engine to your instrument creations. 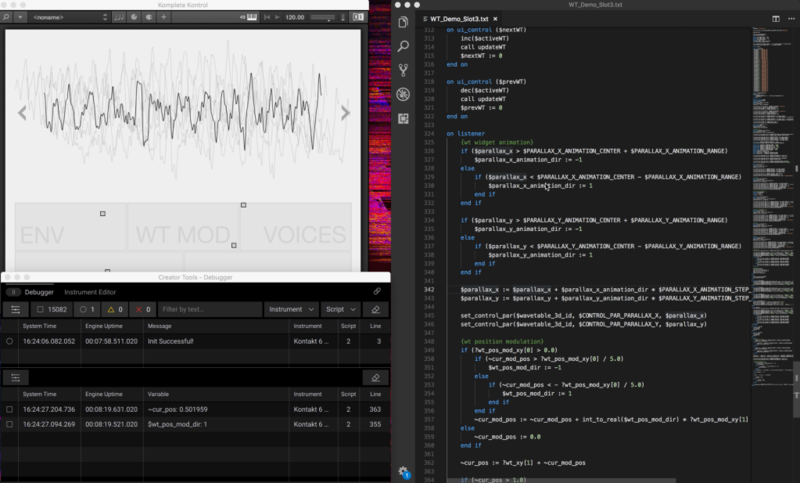 There’s also a powerful Creator Tools app for people building sound libraries for their ecosystem, including instrument editing and debugging. In other words, what you’ll really want to do with Kontakt 6 is play around with that wavetable module and make your own instruments. 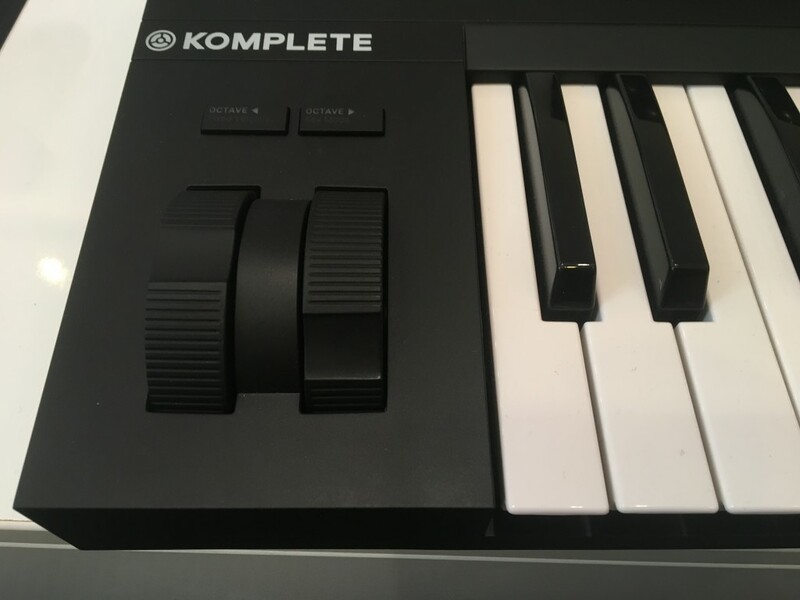 KOMPLETE KONTROL A-Series – the cheaper ones. Like the NI keyboards and their easy navigation / mapping, but don’t like the higher price and don’t need (or want) those light-up colors? The A-Series is for you. The display is tiny, but the encoders are still usable and touch sensitivity means you can see which parameters are mapped to each encoder. NI have also developed their own semi-weighted keyboard action – and it feels pretty good. In return, prices are way lower – US$/EUR 149 (25-key), 199 (49-key), and 249 (61-key). Seems like it’ll be a huge hit. 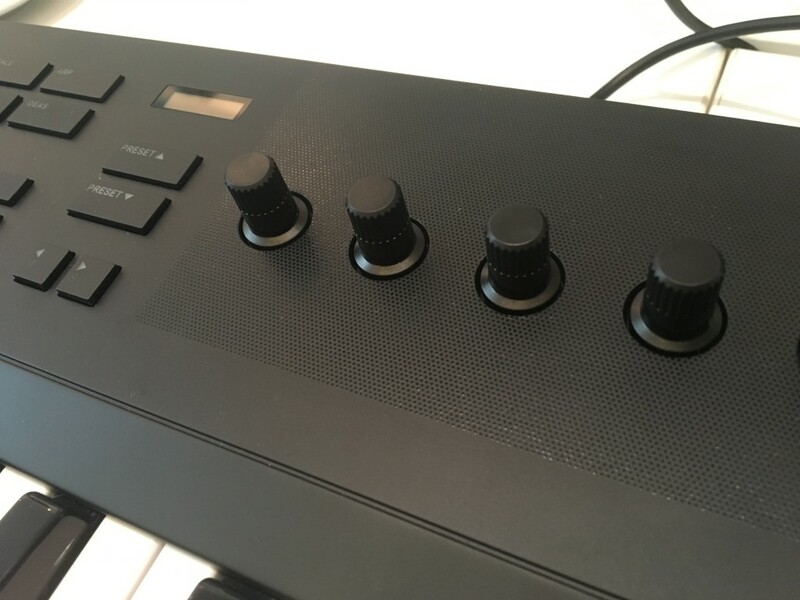 KOMPLETE KONTROL S88 – the hammer one. The fully-weighted, hammer-action S88 gets an overdue MK2 refresh (it was one generation behind all the other sizes), so with the new displays and control features, plus wheels and not just touchpads. Also, while it’s a Fatar keybed, they’ve chosen a different one with a slightly faster action. I like this one better, for sure – it’s on par with some of the better liked hammer keys in recent years (feeling to me indistinguishable from the Kawaii keyboards, for instance). USD/EUR 999. 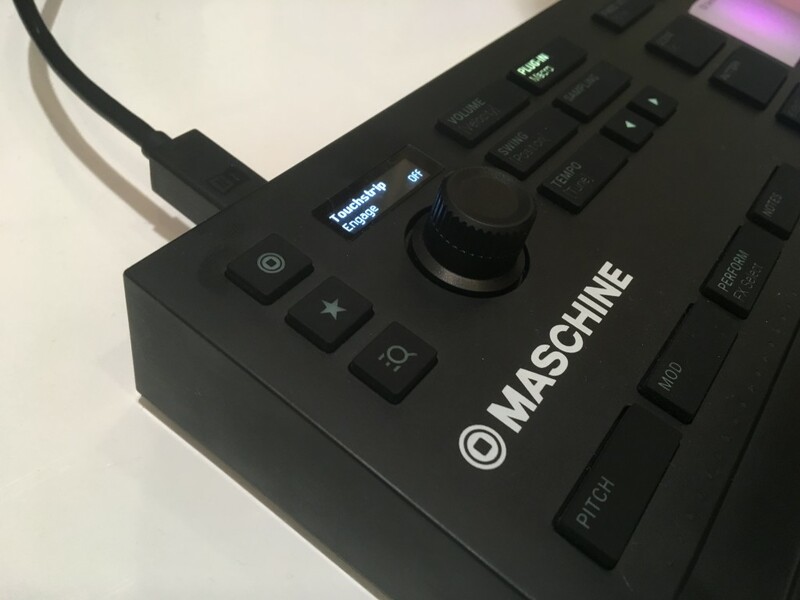 MASCHINE MIKRO The new MIKRO lets you access Maschine without hooking up a larger controller. That seems ideal for tight spaces and tight budgets. It doesn’t have exactly the same pads as the MK3, and losing those big displays is definitely a tradeoff. But I’ve got one in to test to see how the pads compare, and I personally relish the idea of keeping the MIKRO hooked up at all times in my shared studio rather than constantly swapping the larger controller with other machines. The software bundle is where this gets really nice: Maschine Factory Selection (still a full 1.6G of sounds), Massive, Monark, and Reaktor Prism, and of course a MIDI mode for use with other software. Price for all of this is US$/EUR 249, with all that software no one else has. 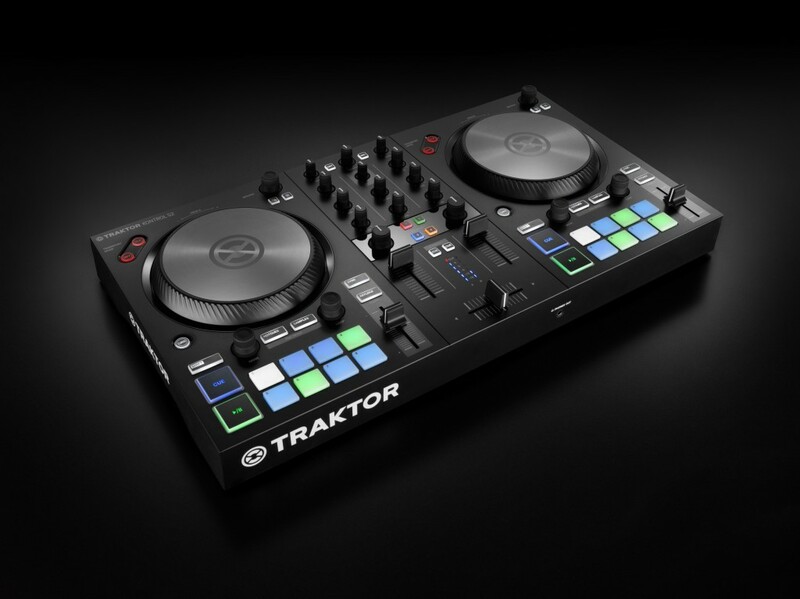 TRAKTOR 3. 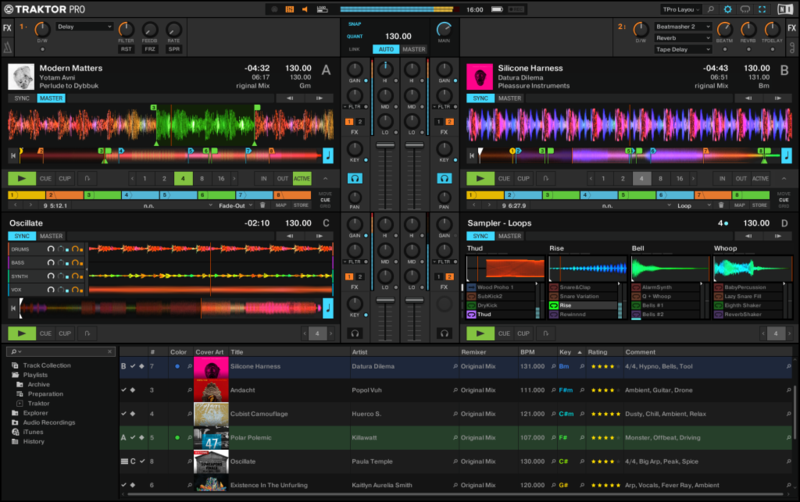 The latest Traktor Pro 3 is a major rebuild, with a slick, flat new look, and a much easier, more powerful interface. Mixer FX are more direct one-knob effect and filter controls that are made ready for live jamming. Audio quality is improved, too, with the ability to route mixer audio entirely externally and a new time stretching algorithm. More on this soon. TRAKTOR S2. The S2 looks and feels a lot like the S4. Sure, it lacks the S4’s fancy haptic wheels, but at least the build is similar. The S2 is still a capable entry-level controller, though it will have to go up against Pioneer offerings that work with their CDJ and Rekordbox ecosystems (aka “pack only USB sticks and go to the club” ecossytems). 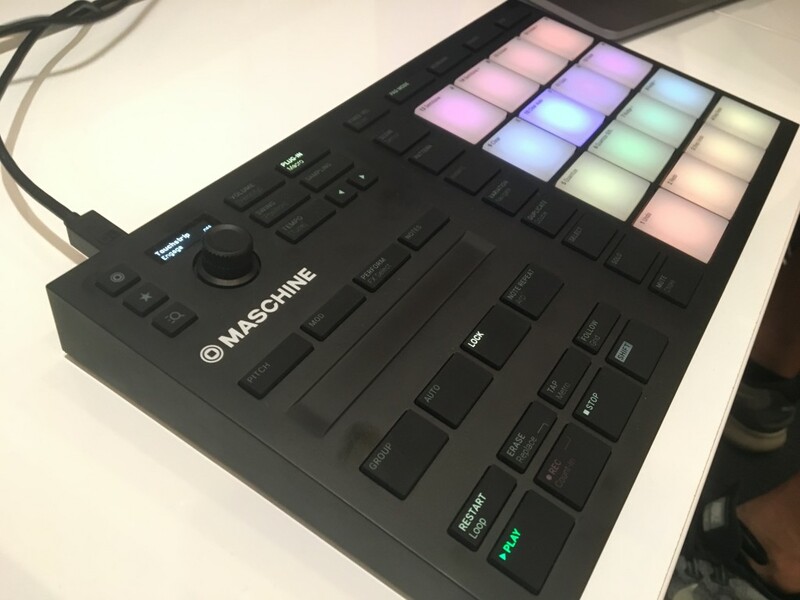 I’m also curious how it compares to Roland’s new controllers, which work with Serato and feature low-latency operation and some 808-inspired drum extras. But it looks like it brings a lot of what was great about the Z1, only with the ability to beat match on wheels. Note that this promises future iOS compatibility, though. Time for an updated mobile TRAKTOR, no doubt. US$/EUR 299. Online platforms. Sounds.com itself looks largely as we’ve seen it – so we’re still waiting on how this will integrate with NI’s products or what other features it will bring. But it is expanding internationally to more countries and adding new content. The Loop Loft soundware site and Metapop online collaboration/community hub meanwhile, each recent NI acquisitions, see their own updates. I hope to talk to Mate Gallic from NI about how this is all fitting together. NI don’t normally announce products this far ahead of shipping, so it’s worth just putting this on a timeline.